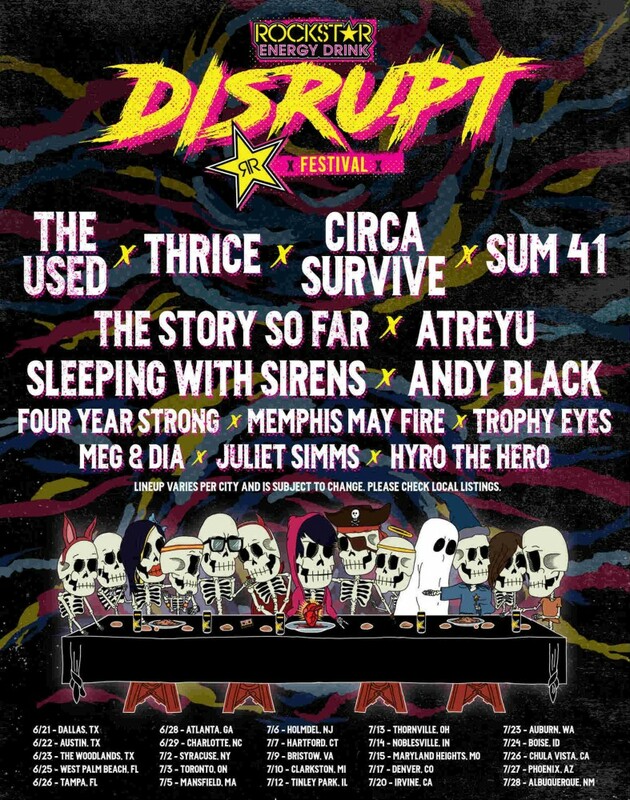 With the Vans Warped Tour ending this year, fans of punk and rock may want to check out a new traveling concert called the Rockstar Energy Drink "Disrupt" Festival. The newly announced concerts are scheduled to begin in June and will visit mostly outdoor venues on both coasts. Bands performing will include The Used, Thrice, Circa Survive, Sum 41, The Story So Far, Atreyu, Sleeping With Sirens, Andy Black, Four Year Strong, Memphis May Fire, Trophy Eyes, Meg & Dia, Juliet Simms, and Hyro the Hero. Each city's lineup is different, so check the ticket links below for specific information on who is performing. Fans throughout the United States and Canada will be immersed into a full-day interactive experience where they will not only be able to hear some of their favorite bands, but will also be exposed to the latest in lifestyle brands and pop-up activations. Unlike most other festivals, there will only be one band performing at a time, avoiding conflicting set times and allowing fans to experience the full lineup in one rock-filled day. 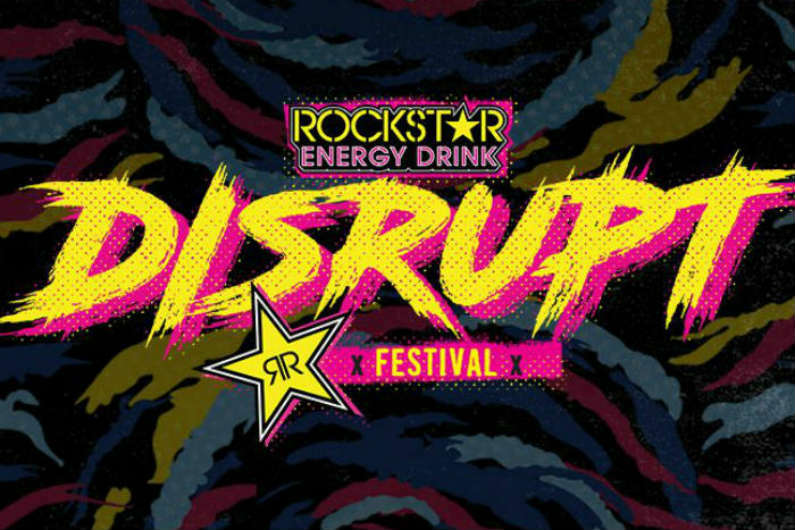 When do Rockstar Energy Disrupt Festival 2019 tickets go on sale and what is the presale code? The general public on-sale begins as early as March 29 at 10 am local time. Presales are currently underway for Artist, Rockstar Energy Drink, VIP packages, and Citi cardmembers. Live Nation, LN Mobile App, Ticketmaster, and local venues / radio presales will follow. The Artist presale password is DISRUPT. For the Citi presale, you can use the promo passcode 412800, but you will need a Citi card to complete your purchase. The Live Nation / Ticketmaster presale password is MASHUP and the LN Mobile App code is COVERT. Keep in mind, each date is different and details are subject to change. Click through the individual concert links for more information about the show you're interested in. We recommend following the artists on social media, in addition to checking your local venue’s social media and email subscription service, to get the most up-to-date information. Stay tuned, we will be updating this page if more information or concerts are announced.